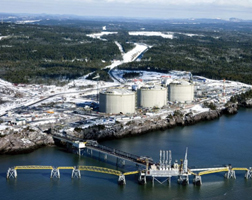 Australian-listed LNG Ltd (LNGL) it will postpone the final decision on whether to build its US-based Magnolia liquefied natural gas (LNG) export terminal, located in Louisiana until the first part of 2019, amidst the ongoing US-China trade war. “We remain hopeful in our ability to bring a final investment decision for Magnolia LNG to the board of directors in the first part of 2019,” LNGL CEO Greg Vesey said. “There were varying opinions on how and when the trade issues with China will be resolved, and that LNGL’s “communications with potential Chinese offtakers remain robust with the intent to complete agreements if trade tensions abate before Magnolia is fully sold out,” Vesey added. Development of LNG export terminals to deliver the super-cooled fuel all over the world has become heated due to burgeoning demand, particularly out of Asia, as countries in the region try to substitute more clean energy sources for dirty, air-polluting coal. US President Donald Trump has been seeking to boost the growth of US LNG exports around the world as part of his efforts to take global energy dominance, but the escalating trade conflict with China has proved to be an obstacle. LNGL had originally planned to make a final investment decision by the end of 2018 on the Magnolia project, which is aimed for an annual output of 8 million tonnes of LNG. “We made that statement prior to the trade tensions that have manifested over the past months, which have caused headwinds for LNG transactions,” Vesey explained. Last year, China purchased almost 15% of all US LNG exports, but is expected to trim the purchase in 2018, according to Thomson Reuters vessel tracking and data from US Department of Energy. LNGL’s delay highlighted how China, the world’s fastest-growing LNG market, has shifted its long-term LNG sourcing strategies away from the United States in the last few months due at least in part to the trade war. The United States recorded 706.4 billion cubic feet of gas exports worth about US$3.3 billion in 2017 and is on track to output over 1 trillion cubic feet of gas in LNG form in 2018, making the country one of the world’s top exporters of the clean energy.